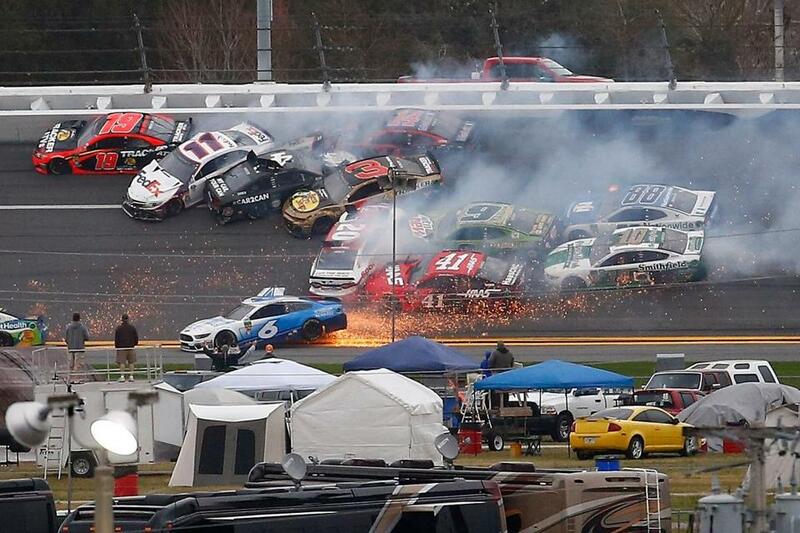 Cars crash during the Monster Energy NASCAR Cup Series Advance Auto Parts Clash at Daytona International Speedway. The seven-time Cup Series champion failed to win a race last season for the first time in his career but a dose of aggression put him back in victory lane in the first weekend of Speedweeks. Johnson’s win continued a banner day for Hendrick Motorsports. Teammates William Byron and Alex Bowman locked in the front row for Sunday’s Daytona 500 earlier in the day in qualifying.